What is National Night Out and what are Georgia communities doing for it? The Gist: Tuesday is National Night Out, a nationwide event designed to draw communities and law enforcement together. Communities, cities and counties throughout Georgia will be participating in the event in different ways. A Little History: National Night Out began in 1984 as an effort to promote partnerships between police departments and the communities they serve. It is an opportunity for police and neighbors to come together. 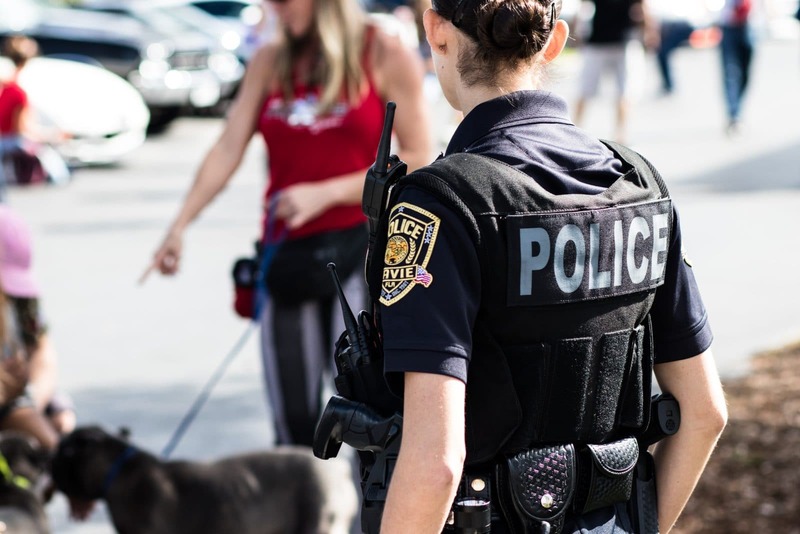 While it was originally intended to promote law enforcement activities such as drug enforcement and neighborhood watch, it has become an opportunity to promote a positive image of police officers in communities where their interactions aren’t always positive. The Rundown: Here is a look at how some communities throughout Georgia are marking National Night Out this year. Rockdale: Rockdale’s National Night Out offering will consist of police demonstrations and information on how to keep the community safe. The event will be held at Wheeler Park Pavillion in Conyers and will be hosted by the Rockdale County Emergency Management Agency. Clarkston: The city of Clarkston will hold their version of the event at Milam Park, and will consist of free food and Swag Giveaways as well as entertainment provided by the Black Panther, a Strolling Magician, either Iron Man or Captain America and DJ “ABlasts,” spinning the latest, family friendly, hits and some blasts from the past. The ever-popular Jurassic Park vehicle will also be present for photo bombing and selfie opportunities. Brookhaven and Dunwoody: Two neighboring cities in northern DeKalb County will be partnering for National Night Out activities at Perimeter Mall. This year, the two hosting police departments will have patrol cars, SWAT vehicles and other specialty vehicles on display. The DeKalb County Fire Dept. will also have fire trucks and other pieces of equipment on display. Police Officers, Fire personnel and ChatComm 9-1-1 personnel will be on hand to answer any questions related to vehicles, personnel or public safety operations. Moultrie: Like other communities, Moultrie’s National Night Out plans include food and entertainment. One unique aspect of Moultrie’s celebration is a school supply giveaway. The event will be held at Jim Buck Goff Recreation Complex. Lilburn: The Lilburn Police Department will celebrate the ninth annual National Night Out at Plaza Las Americas. The Georgia Law Enforcement Moving Memorial will be on display at Lilburn’s event. This memorial travels around the state to commemorate the nearly 700 Georgia law enforcement officers who have lost their lives in the line of duty. The event begins at 6 p.m. and will wrap up with police canine demonstrations. Attendees will have the opportunity to meet staff from local police, fire, and other public service agencies, who will share personal and community safety tips. Various types of cars, trucks, and equipment will be on display. More than 40 participating vendors will bring community resources, knowledge, information, and activities to the public. Lilburn’s 2017 National Night Out was ranked No. 22 among small cities nationwide that held the event. It was the fourth year in a row that the Lilburn event was recognized by the National Association of Town Watch. Woodstock: The Woodstock Police Dept. will hold its version of National Night Out in the Park at City Center. The event will feature K-9 demonstrations, public safety equipment on display, Safekids, and more activities for children of all ages. Food and drinks will be made available courtesy of Target and prepared by City of Woodstock Parks and Recreation Department staff. Music will also be provided by DJ Tim Cahill. Midtown Atlanta: The Midtown Neighbors Association invites Midtown residents to spend the evening outside with neighbors, police, fire fighters, and EMTs for a block party with local organizations presenting home safety solutions, area restaurants providing small bites, and activities for younger residents like exploring the fire trucks and a bouncy house. In addition, City of Atlanta Council Members and representatives from the District Attorney’s Office will be attending to hear concerns and greet their constituency. The event will also serve as the first public meet and greet with the new Midtown Neighborhood Association Safety Patrol Chairman, George McKeehan, and our new association Safety Patrol Coordinator, Detective Jim Rose. The association first brought National Night Out to Midtown in 2003 and has hosted it annually every year since.